October sign-ups are here! Click to sign up. There are some fun Fall themes ahead! It doesn't get much simpler than this, folks. My weekend wear is that of a mommy on the go. Aren't the weekends for sitting still and relaxing? Who am I kidding, I prefer to be on the go. We are either playing at the lake, gallivanting around town or doing fun stuff with friends so casual wear is a must. Check out Jana looking all Southern with her bare feet. That's my kind of weekend wear! Rebekah and I have the same idea with our casual striped dresses. I adore her look! Visit their blogs for full details. We spent our long weekend on the lake with friends and family, which is why you see my swimsuit peaking out from under my dress. I met a new mommy in the neighborhood and they brought their kiddos up for a visit on the water. 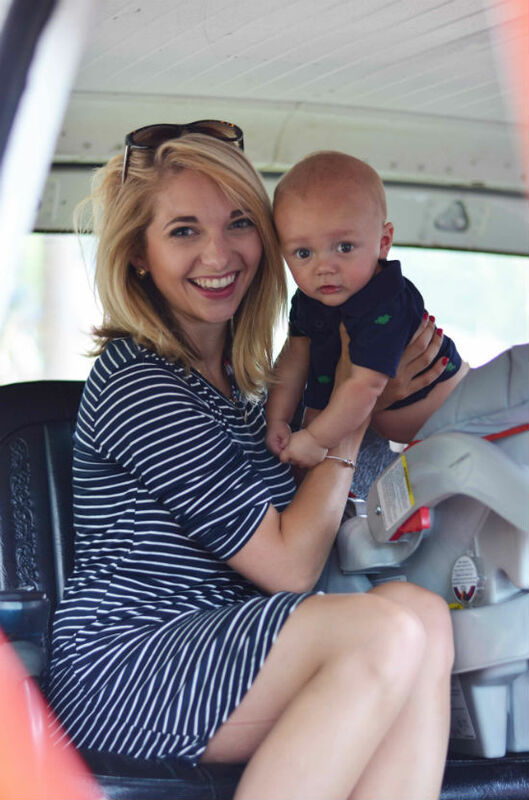 It's seriously so hard to make mommy friends after you have a kid. It's like this weird transition phase in life where you are repeating high-school again, trying to find the crowd you fit into with similar lives and interests. I'm so fortunate to have found a great momma just a few doors down! I'm also super pumped Maddox gets to grow up on the water. I wasn't so fortunate, but Jon was. He was skiing behind the boat at a young age of 5 so I'm stoked Maddox gets this opportunity and I get to soak up all the fun mama moments! I love a basic t-shirt dress with loafers. Fake it till you make it, sistas! The whole point is to look effortlessly put together when all you really did was throw on a dress, slide into your loafers, spray some dry shampoo in your hair and slab some color on your lip. Sounds a whole lot less glamorous described that way, huh? Next week is a good one! Who am I kidding? 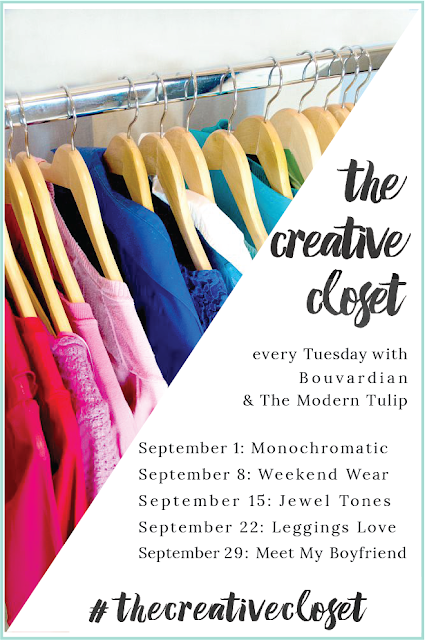 They are all great, but I'm especially excited about jewel tones! I love a deep, rich jeweled toned color. 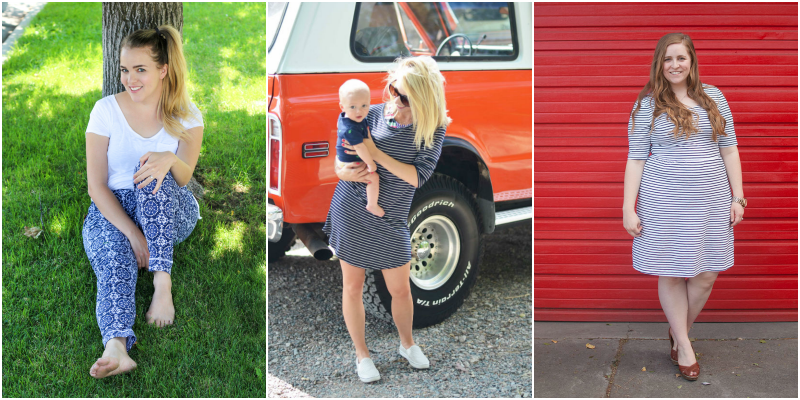 10 comments on "The Creative Closet || Weekend Wear"
What a cute little baby and a beautiful mama! Dry Shampoo is actually a lifesaver. I love easy dresses like that! It makes you feel put together without a ton of effort! Looking fabulous, friend! 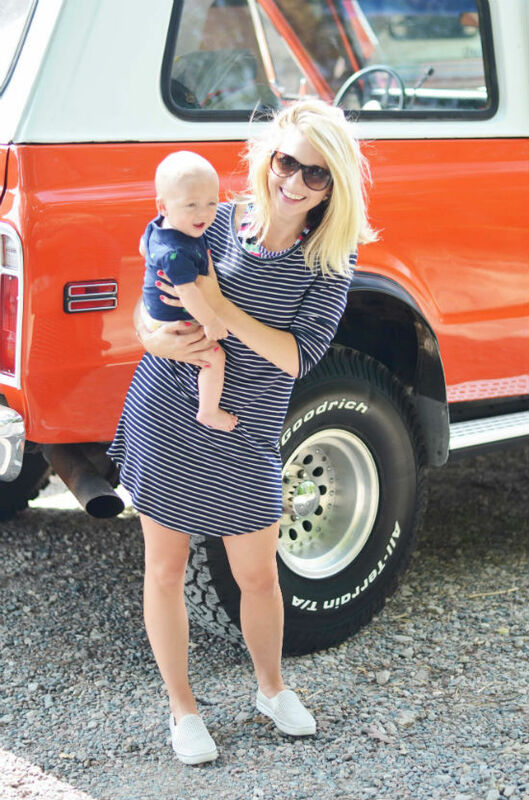 That dress is so easy and chic - perfect for a mommy-on-the-go like you! I have been so excited to see your post since Jana sent us the photo. Jon's Blazer makes for such an awesome and unexpected backdrop. I love it. My son loves the sound of my husband's truck so it must be a boy thing ;) You're adorable as always! My weeks are so jam-packed that when it comes to the weekend, I prefer to be lazy and veg all day. 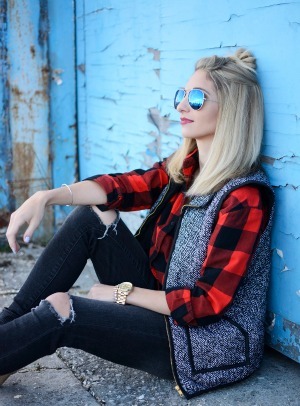 Usually I don't get my wish, but either way, I agree casual, comfy is the way to go and always a must! 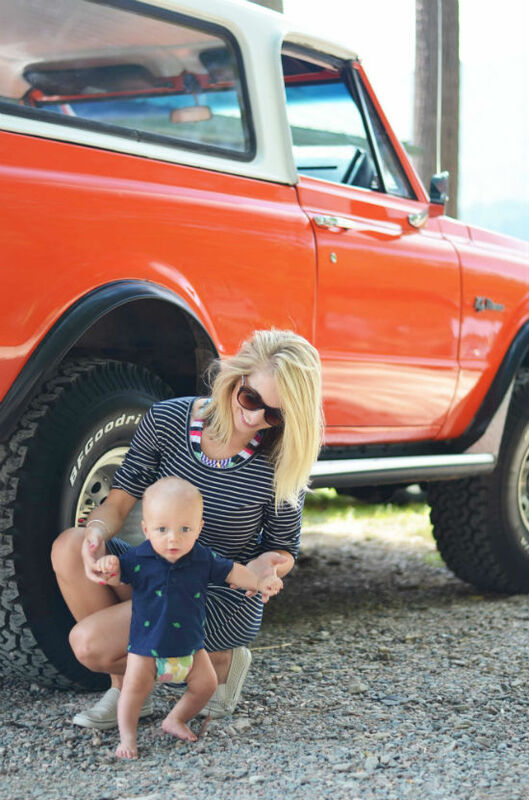 Love the outfit and your little man. He's adorable!